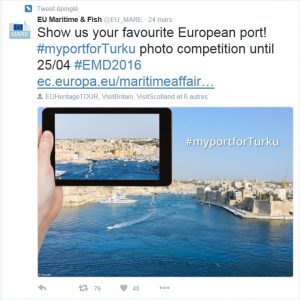 In the frame of the European Maritime days 2016 to be held in Turku from 18 to 22 May 2016, DG MARE is organising a photo contest to promote the European Ports. More than 3000 are connecting the European coastline and beyond. 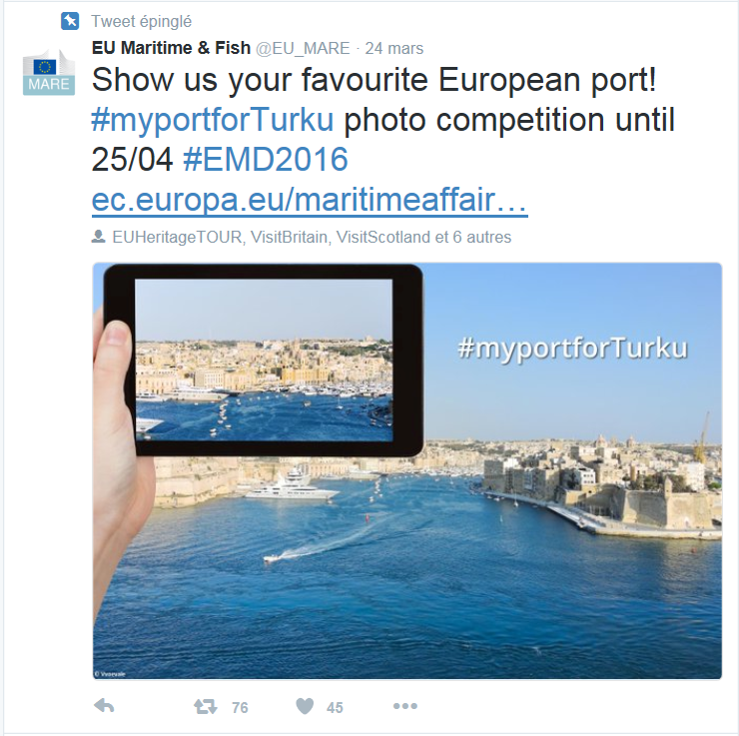 You can show your support and promote your favourite port. All photos will be collected and inserted in a map. The 50 best entries will win a maritime prize (books, free tickets to aquariums and maritime museums, even fish!) and go on display – in Turku and around Europe. Until 25 April, you can share up to 3 photos via Twitter, Instagram or Facebook, or directly by email. Send the links to MARE-COMMUNICATION@ec.europa.eu. For example “Hamburg, Deutschland, #myportforTurku”.